Okay here's the kind of student that will like JMU, if you were popular in High School and maybe the cheerleader prep type that just fit in with everyone. I was by no means unpopular in high school, I was really quirky and outgoing and friends with everyone but I was quirky. While no one is mean to your face it's hard to find people to relate too for me. Not to say that they aren't here but you have to be willing to go out of your way to look for them and join lots of clubs and stuff. I don't know if that much effort put into finding friends you like and get along with is normal cause I didn't have to in High School but I don't know. Also a lot of the girls are fake nice, and really shallow and stupid and catty. Not that they all are, I have a few good friends but more than that should be. People will tell you that hey the person who didn't like it here just wouldn't fit in anywhere. That's not true, JMU is basically the school that all the really popular people from your high school go to. The guys aren't pricks, most of them are actually quite nice. Also a lot of the professors I feel try to fail in on purpose. They're not the worst professors ever but they're not the best. Wonderful review! I wholeheartedly agree. I'm actually a guy and have a pretty unique/quirky sense of humor and personality, and all you who are reading this, listen up: you will NOT like this school if you don't fit the mold, and you will NOT like this school if you're the kind of person who likes to walk their own path and be their own person. Decide which kind of person you are—decide whether you're inside the jmu mold or out—before you think about attending this place. Take it from a jmu graduate. Transferred to UNC over a year ago. Couldn't have been happier about my decision. Bigger school. Better reputation. Also, a more diverse student body and faculty. 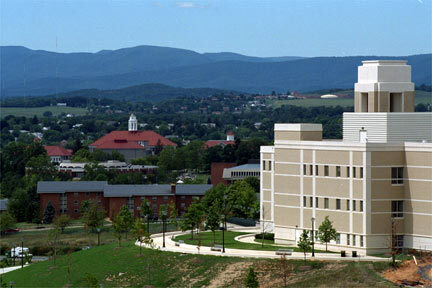 I had some great professors at JMU - too bad I couldn't lure them to UNC - and a few friends that I will truly miss. Still, I don't regret transferring; the positives outweigh the negatives. Simply put, JMU wasn't for me.